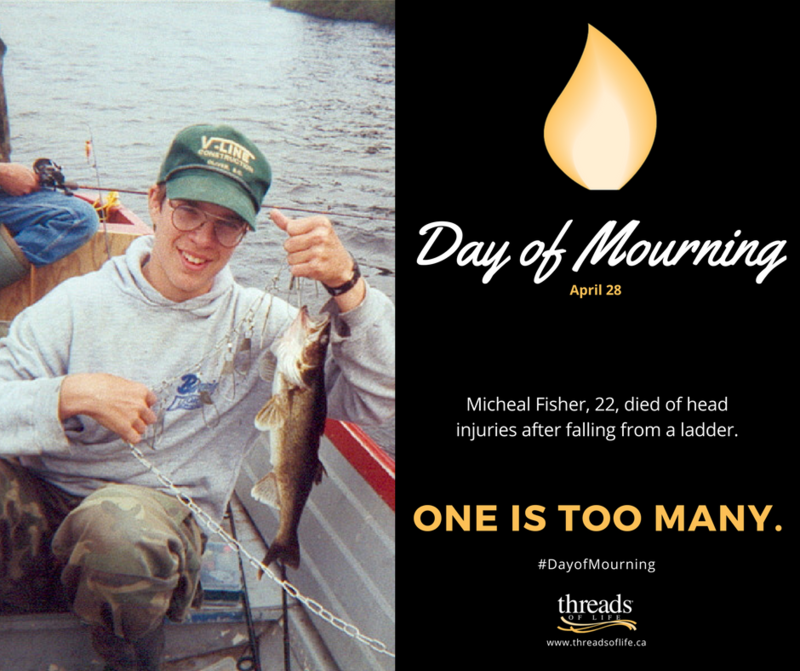 I have attended or participated in several National Day of Mourning ceremonies in the years since my son Micheal’s workplace fatality, and been fortunate enough to have been asked to speak at two of them. Ceremonies are held every year across Canada on April 28th, in large cities, in small towns and in tiny communities. They are attended by family members, committed health and safety professionals, and politicians and dignitaries. Their purpose is to honour those who have lost their lives, and to bring attention to the lives which have been irrevocably changed due to a life-altering injury or occupational illness. I have had the privilege to speak at two such events. The first of these events was in 2008 at Queen’s Park in Toronto, where I had the honour of helping to unveil the WSIB’s Living Tribute virtual candle, which now stands at their offices at 200 Front Street West in Toronto. An event which I was tremendously moved and grateful to be involved in. The second was last year in 2016, when I was asked to speak to the attendees at the WSIB’s Day of Mourning ceremony in the courtyard outside their offices in Toronto. These are bitter-sweet moments for me. Every day I wish, just like many others, that I was not a part of this – or at least that I was just one of the many people attending the ceremony to honour people who, although important and deserving of this tribute, are nameless and faceless. But I am not. 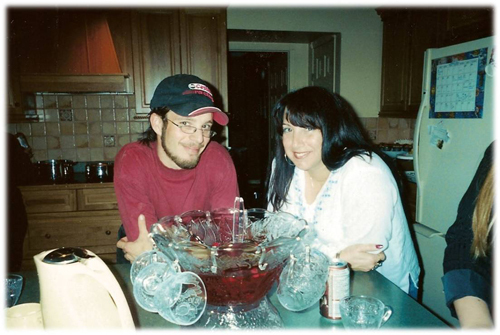 I am there to honour my son Micheal, and to remember him and the many other sons, daughters, husbands, wives, mothers, fathers, sisters and brothers of the families who I have met on my journey with Threads of Life. For us, this ceremony is a poignant and heart-breaking reminder of who we have lost. It is not easy to stand up and look into a sea of unfamiliar faces, hold your voice steady and come up with words you hope will convey the enormity of not just your loss, but the loss of too many others, in a way that you hope will inspire them with your conviction that we can… we have to… make changes to keep people safe at work. All of us. When I am asked to represent the families who are left behind after a workplace fatality and the family members who are left to rebuild their lives in the wake of a devastating occupational injury or illness at a Day of Mourning Ceremony… to be a voice speaking for those often unknown faces… keeping Micheal’s name alive and reminding people that this not just a news story or a statistic – it is our reality… is one of those rare moments in time when I feel like I might be making a difference. And no matter how difficult they can sometimes be, I am grateful for every one of those moments. Editor’s note: To look for a Day of Mourning ceremony in your community, we’ve compiled a list of provincial listings on our website. Threads of Life volunteer speakers will be sharing their stories at more than a dozen corporate and public events across the country. Johanna LeRoux is a Threads of Life family member. She is a volunteer family guide, peer support group facilitator, and a member of the Threads of Life speakers bureau.